To lose a loved one from an act of homicide is bad enough, to lose a loved one and not know where your loved ones body is because the killer won’t say ………………… is beyond words. That pain cannot be put into words. 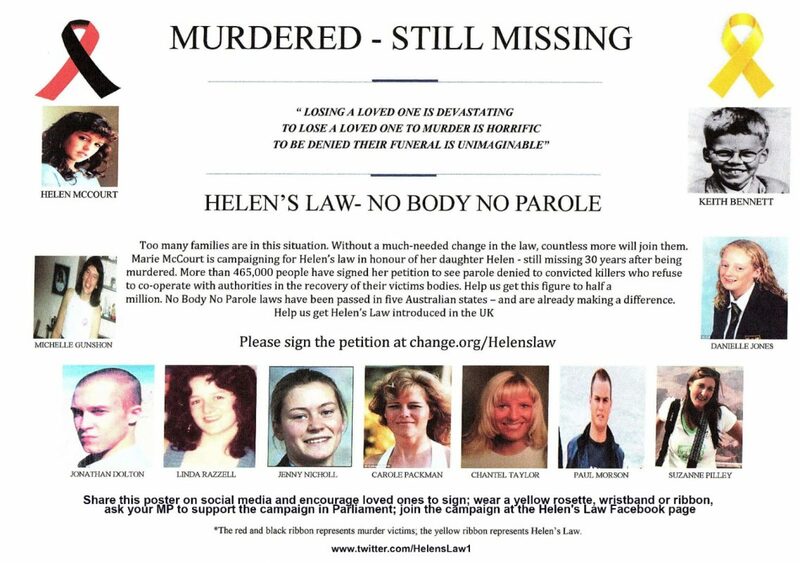 Please sign the Helen’s law petition and also please share.